I have had numerous health issues with my Cervix and Endometrium beginning in 1987. It was the year after my grandmother died of cancer. I had my first suspicious pap smear. It had been a stressful few years particularly prior to her death. I had taken on a big chunk of her care, and the organization of her care, so that she could die at home, as had been her wish. I decided to give up sugar, my life returned to some semblance of normal, and 6 months later my pap results were again fine. Fast forward to shortly after I FINALLY ended a frankly disfunctional 5 year relationship, when a cervical cyst was found, and removed. A brief fling, with lasting results, resulted in a diagnosis of, and treatment for HPV, (a precursor to cervical cancer), and the return of ‘precancerous’ pap smears. Over 8 years ago, after tons of family stress and numerous deaths, (parents, friends, cousins, suicides…), Dr. ‘Gynoguy’, as I not so affectionately call him, informed me that, given my personal and family history, and yet another abnormal pap smear, and an endometrial biopsy, (OUCH! ), that I should have a total hysterectomy! I was not at all keen. In fact, I was scared. While Dr. ‘Gynoguy’ and the Locum (who was unfortunately taking the place of my regular Doctor) were convinced I was committing suicide, I decided to give myself 6 months to ‘clean up’, both physically and emotionally. I REALLY didn’t want a hysterectomy, and so I went into both panic mode AND action. Fortunately for me, I had already experienced how EFT can provide powerful and profound emotional relief. I had spent the previous 4 years learning more about how to use EFT on myself and with others. AND, I have friends with more knowledge about Nutrition, Herbology and anti-oxidant supplementation than I. I also found a Naturopath who specialized in reproductive health. I tapped on my fear of cancer. I tapped on my fear of being alone on the farm where I lived. Post hysterectomy I had no help. I was unable to move for the two weeks I was told it would take to heal enough to be up and about. I TAPPED on my frustrations and resentments towards ‘family’ members, and former friends, and some of the big events from my past. I TAPPED on feeling powerless. I TAPPED on my anger towards ‘Gynoguy’ and Dr’s who are quick to pick up the knife, or prescribe the drugs, but have no interest in patient empowerment or taking the time to answer my questions. I TAPPED on my fears of living with, and dying from cancer. And then I TAPPED some more. (I also TAPPED with other tappers who helped to give me some much needed perspective). 6 months later, I asked for a D and C. When I woke up from the anesthetic, ‘Gynoguy’, told me that there was NO sign of ANY abnormal cells. He didn’t need to see me again for a couple of years. (Truthfully, I was not the most docile patient. I asked lots of questions and refused to have any operation until all my questions were answered to my satisfaction). Tellingly, he showed ZERO interest in how I had managed to heal myself. Fast forward 8 years to when I learned the results of another pap smear. No abnormal cells were found! I encourage anyone with cancer to consider a well rounded approach towards healing. One that addresses ALL the possible root causes, whether they be emotional, environmental, genetic or a combination of contributing factors. If you, or anyone you know has a cancer diagnosis, you may want to consider making an appointment to process the emotions that maybe getting in your way of obtaining good health, with Emotional Freedom Techniques and Matrix Reimprinting? Find Alice's EFT International profile below to contact her. 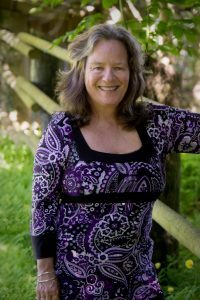 Alice Grange is an EFT International Advanced Certified EFT Practitioner specialising in relationships, Matrix Reimprinting and womens' wellbeing. She particularly loves helping empowering women, and also works with issues of all kinds.